Recently, there’s been a real resurgence in vinyl releases. So much so, that in the last few weeks, vinyl releases have outnumbered CDs. It seems that vinyl is back, and back to stay. That’s backed up by sales of turntables. Just like vinyl sales, at their highest for years. What makes this all the more satisfying, is that a new generation of music lovers are discovering the delights of vinyl played on a decent turntable. After all, there’s nothing better than listening to a classic album on vinyl. The music has a much warmer sound. Even with the inevitable snap, crackle and pop, the sound is far superior to the weedy sound of an MP3. Then there’s the artwork. On a vinyl album, it’s like viewing a mini artwork. Turn over, and there’s the list of everyone who played their part in the album. Often, there were inserts featuring lyrics or posters. 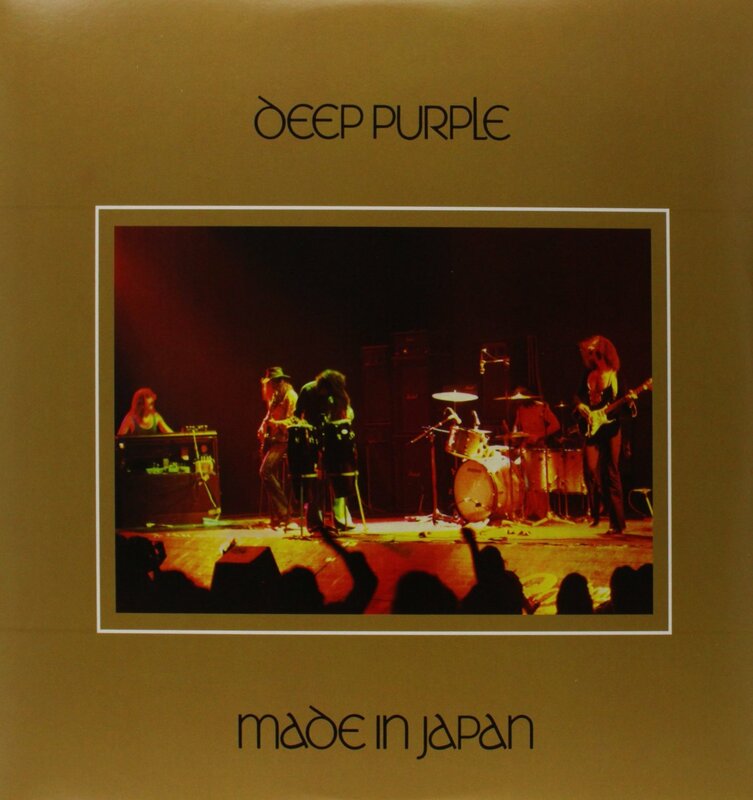 Then on double albums, like Deep Purple’s Made In Japan, which will be reissued on 31st December 2014, by Friday Music, is the gatefold sleeve. It’s much mourned where, designers were able to let their imagination run riot. 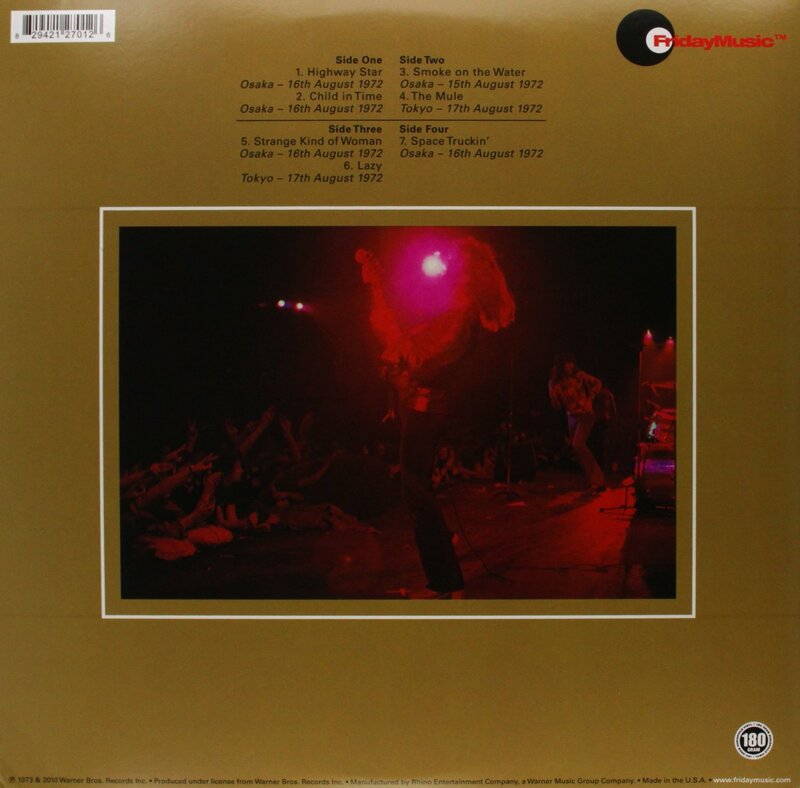 Thankfully, with the resurgence of interest in vinyl, the gatefold sleeve is back, including on Deep Purple’s Made In Japan. That’s why Deep Purple were touring Japan in August 1972. Their Machine Head World Tour was scheduled to last the rest of 1972 and into 1973. On the 15th and 16th of August 1972, Deep Purple took to the stage in Osaka. Then on 17th August 1972, Deep Purple landed in Tokyo. These three concerts were recorded and became Made In Japan. It was released in December 1972 in the UK and April 1973 in the US. This further reinforced Deep Purple’s reputation as one of the greatest heavy metal bands. Since then, Made In Japan, which was recently rereleased as a double album, has attained legendary status. Not bad for a band who were only formed four years previously. Deep Purple’s penchant for the rock ’n’ roll lifestyle was legendary. It came with the territory. This was after all, rock ’n’ roll. Chaos and carnage was omnipresent and expected as Deep Purple toured the world. This never seemed to affect Deep Purple’s music. They were always at their hard rocking, hard living best. A reminder of this is Deep Purple’s first live album Made In Japan, which will be reissued on 31st December 2014, by Friday Music, and is without doubt, one of the finest live albums ever released. Tagged: Deep Purple, Fireball, Friday Music, Machine Head, Made In Japan, Shades Of Deep Purple, The Book of Taliesyn. ← CAPTAIN BEEFHEART-SUN ZOOM SPARK: 1970-1972.
great post! I remember when having this album gave you some status – Child in Time and Highway Star – legendary performances! Listening to music was a celebration back in those days of one album for everybody to listen to. Glad that you enjoyed my review of Made In Japan. It was an album that gave you some status. Made In Japan was an album to flaunt. It’s also a timeless live album. I was really pleased to see it reissued this year. 2014 been a good year for heavy metal, with reissues of Black Sabbath, Deep Purple and Led Zeppelin. Let’s hope 2015 is just as good.